I really like how it turned out. I can't wait to see it quilted. 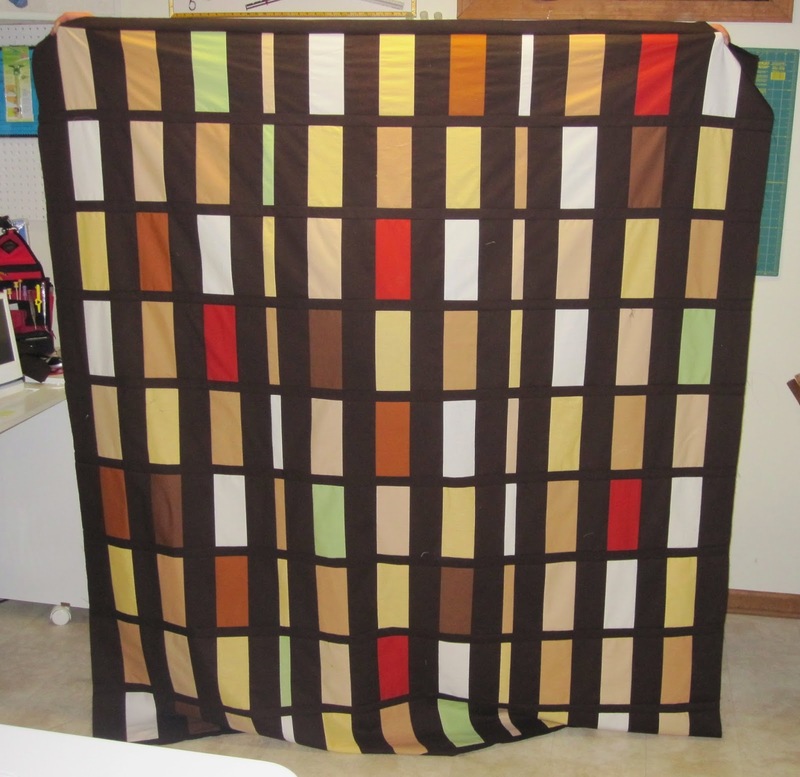 I'll let you know when Terri quilts it and share the link to her blog. Jim said he had to get mentioned for holding the quilt up for the photo!! So glad you posed a pic... I haven't taken it off the hanger yet to look at it. :-) I will get to it next week and post a quilted pic. I can't wait to see... I hope I didn't hold you up waiting for it. Actually brown sashing-very very nice-love it! Thanks, I really like the colors she picked too.